One of the plants I’ve always made sure I had, no matter where I lived was an aloe plant. It’s such healing, wonderful plant, and nothing is better for a burn than juice from an aloe plant, but did you know that drinking aloe juice and its pulp is also beneficial? Aloe vera juice is wonderfully delicious and nutritious as well. After hearing how nutritious aloe vera juice was, I was so happy to find ALO. It’s a wholesome delicious beverage made from real aloe vera, which is hand picked from their organic aloe vera farm and hand filleted, ensuring quality, freshness and goodness that is straight from the leaf, never from powder (like many of its competitors). This crisp, refreshing base of real aloe vera pulp and juice is then enhanced with a mix of real fruits, vegetables and healthful ingredients to create a variety of unique flavors. 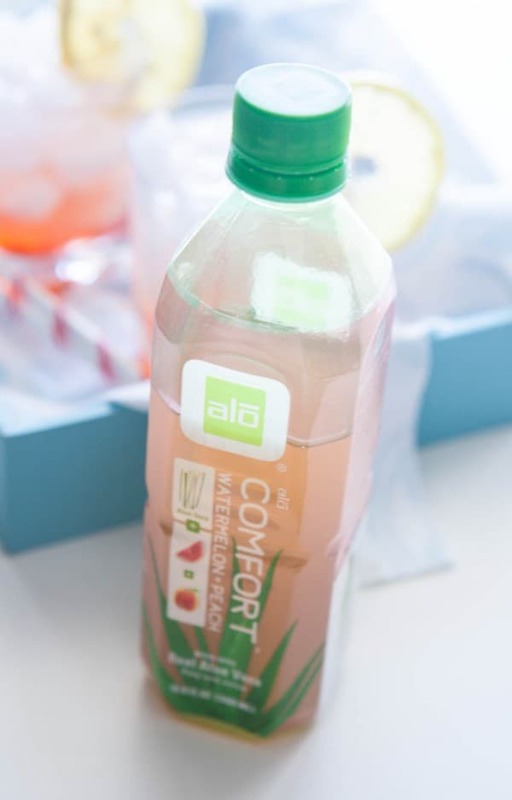 ALO Drink is the #1 ready-to-drink aloe vera beverage in the U.S. grocery channel, and it’s also the first aloe vera beverage to receive the Non-GMO Project Verification. It is all natural, low in calories, gluten-free and fat free. It comes in 9 flavors, plus 3 Light flavors and 2 Coco Exposed flavors (an aloe vera and coconut water beverage). The people at ALO know that aloe vera has many more uses than just treating your sunburn or small cut. They know that it’s a health powerhouse chock full of vitamins, minerals and essential amino acids, and they’ve created a delicious drink you’ll love with it. ALO is also low in calories, gluten-free and fat free! Want to try some ALO for yourself? Head over to the ALO Facebook page and enter the ALOVE photo contest! A winner will be selected every weekday until July 11, 2014. Each lucky winner receives a sampler pack of all of the current ALO Drink varieties! Fans can enter by taking a selfie or picture with their favorite ALO flavor, or by simply writing down why they want ALO to send them a sampler pack on a piece of paper and take a photo of that. Fun and creative drawings are more than welcome in the ALO Contest! One of the other cool things about ALO is they’ve had a different song created for each and every flavor of ALO. On every bottle of ALO Drink, there is a QR code that leads to it’s own unique song. You can also visit SoundCloud to hear all the songs. They’re great for exercising to, reading to listen to while walking, reading, during yoga or whenever! Check out this fun video to learn more about ALO. Don’t forget to connect with ALO on Facebook, Twitter, YouTube and Instagram! Check out the ALO Website for more information and where to find ALO at a store near you. 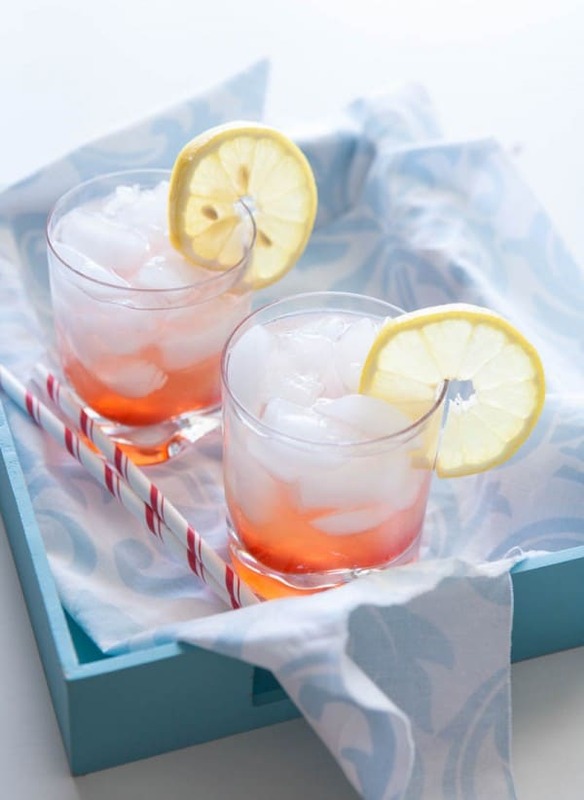 For more cocktail and cocktail recipes, check out this ALO Drink recipe book. 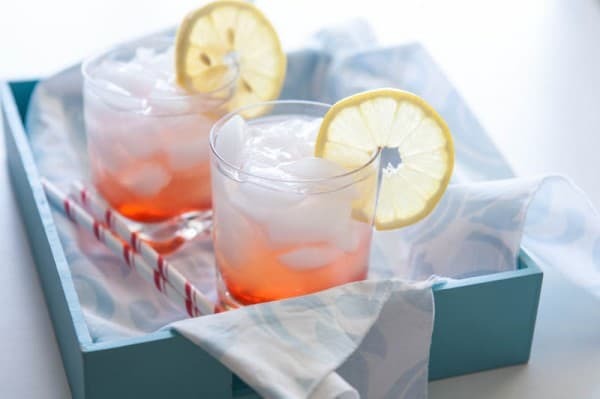 Combine ALO Comfort Watermelon Peach Drink, club soda and grenadine in a glass over ice. Add a lemon slice and serve. Water melon is super food. I like water melon because its full of nutrition, and good source of water. Love this Watermelon ALO Spritzer!!! I’ll take two! Those look so refreshing Angie! Cheers. What a beautiful summer drink. Thanks for the recipe!